By 2030, more than 40% of the population in the Greater Mekong Subregion will be living in cities. Photo: ADB. 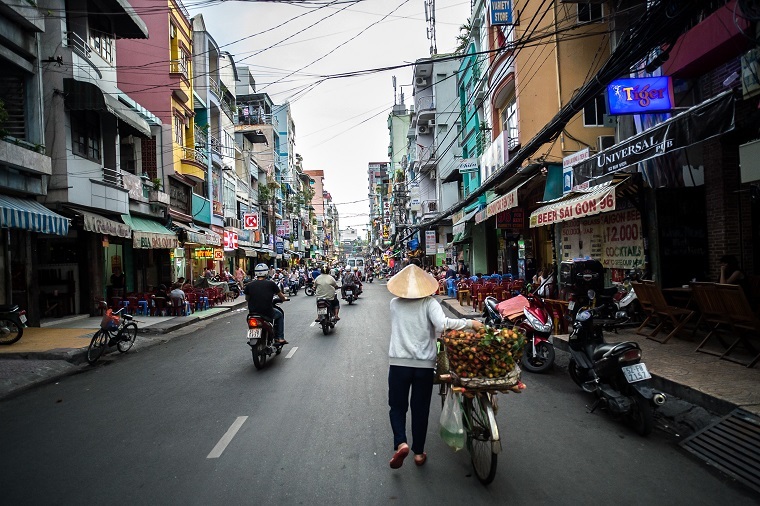 greatermekong – The subregion is one of the least urbanized areas in the world, but its cities are growing and their economic impact is being felt. Urbanization levels in the Greater Mekong Subregion are low, ranging from 19.5% in Cambodia to 44.2% in Thailand. However, in all GMS countries, urban areas account for a much larger percentage of the gross domestic product (GDP)—at least half in most countries and about 75% in Thailand—than the share of its national populations. Urbanization growth rates in the subregion range from 4.9% annually in Yunnan Province, People’s Republic of China (PRC) —six times the provincial population growth rate—to a low of 2.6% annually in Myanmar—1.7 times the national population growth rate. Although the GMS is one of the least urbanized regions in the world, the high rate of urbanization (3%–5% per year) suggests that by 2030, more than 40% of its population will be living in cities. Cambodia and the Lao People’s Democratic Republic have had the highest urban growth rates. Viet Nam’s urban growth rate is increasing, while the urban growth rates for the PRC, Myanmar, and Thailand are decreasing. Nonetheless, the urban growth rates of all GMS countries are higher than the world average. Urban GDP is highest in Thailand and is characterized by solid middle-income standards of living, followed by the PRC’s Guangxi Zhuang Autonomous Region and Yunnan Province. The other GMS countries exhibit lower than middle-income urban economic performance. Increasingly, cities and towns in the GMS are becoming engines of economic growth and centers of culture and innovation. They now account for about 50%–60% of the subregion’s economic production. By 2050, when urban areas in the GMS reach 64%–74%, urban GDP will grow to an estimated 70%–80%. Urbanization forms a pivotal part of the subregion’s shift from predominantly agriculture to manufacturing, service, and knowledge-driven economies. These rapid developments raise a whole range of issues, such as transport, water supply, infrastructure, waste management, sanitation, environmental sustainability, poverty, shelter, and a new framework for urban development. Some of the most important urbanization trends in the GMS include accelerated growth of small and medium towns and the rise of urban centers that serve as hosts for economic development. According to Asia 2050, a flagship study by the Asian Development Bank (ADB), most economic growth will be urban. By 2050, the GMS is expected to be at least 50% urbanized. Careful planning is needed to balance growth—preferably green growth—with inclusiveness to avoid the ills and negative impacts of urbanization. This can be achieved through national urban strategies that ultimately lead to a GMS urban development strategy.